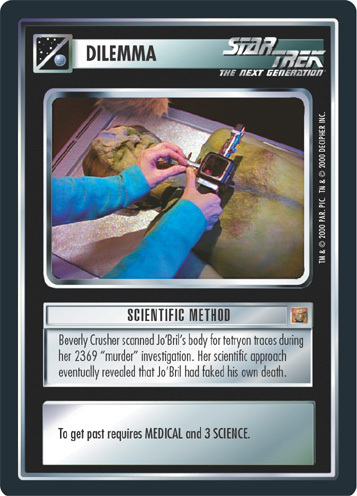 Beverly Crusher scanned Jo'Bril's body for tetryon traces during her 2369 "murder" investigation. Her scientific approach eventually revealed that Jo'bril had faked his own death. To get past requires MEDICAL and 3 SCIENCE.